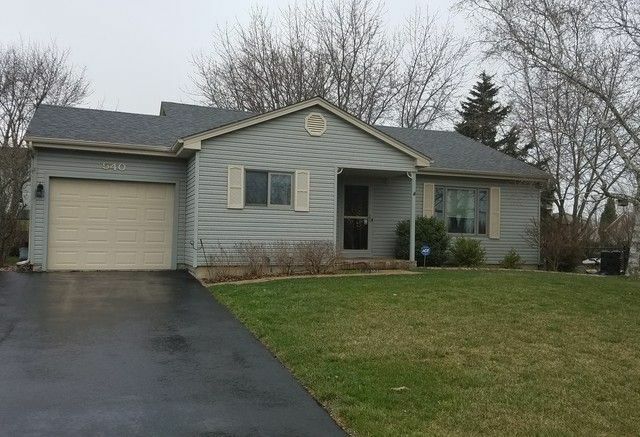 This Lovely split-level very well maintained home has lots to offer. Kitchen boasts beautiful honey oak cabinets and a built in matching pantry and composite flooring. The living room has vaulted ceilings and an open foyer which offers plenty of room. Crown molding throughout. The whole home has been painted with colors that you will love. This is a great 3 bedroom/2 bathroom home with a large fenced yard and large shed, paver patio and paver front porch and walk way. Laundry room has drop down ironing board, Sink, plenty of cabinets and counter space. Also has high efficiency furnish with humidifier and eclectic air cleaner. Roof is only one year old and new siding and windows with in last 10 years. Wonderful location close to schools and shopping. Come and take a look at your new home! What more can you ask for!! Beautifully decorated all appliances stay so nothing left to do but move in!! Directions: : ALG. RD. TO HANSON S. TO HARNISH E. TO HUNTINGTON TO Somerset Ct.